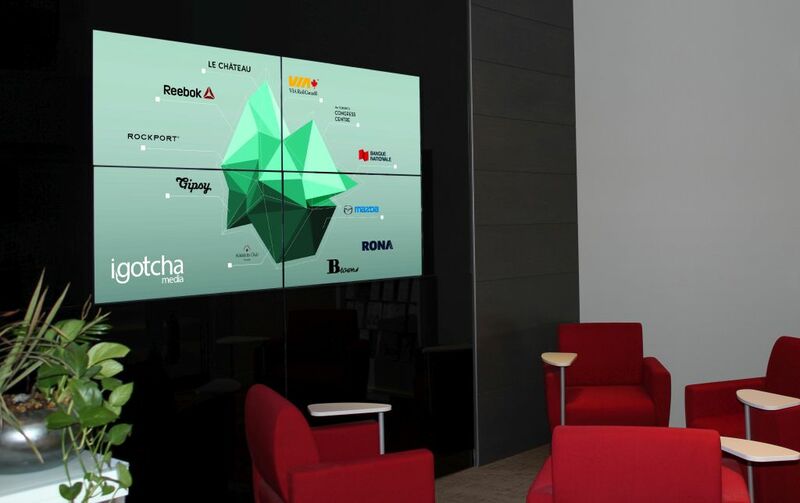 Partners to present innovative digital signage applications. iGotcha Media, developers of high impact digital signage solutions and content, today announced that it will exhibit with long-standing partner LG, a global leader in electronics, information and communications products, at the upcoming DX3 Conference to be held in Toronto, March 2 – 3.
iGotcha Media will demonstrate innovative digital signage applications, including: a video wall comprising four LG 49-inch Direct LED LCD monitors, radio frequency identification (RFID), geo-locator bracelets, real time mobile-to-screen connectivity and gaze-tracking technology. DX3 will be held at the Metro Toronto Convention Centre, March 2 – 3, 2016. iGotcha Media will be in booth #310. For more information, please visit http://www.igotchamedia.com/dx3. iGotcha Media specializes in delivering turn-key digital signage solutions, including: hardware, software, installation, content development and network management. We help businesses achieve their digital signage needs, generate new streams of revenue, reduce costs and gather data. iGotcha Media’s clients include: Toronto Congress Centre, Cambridge Group of Clubs, Le Château, National Bank of Canada, Reebok, Rockport and Via Rail Canada. For more information, please visit http://www.igotchamedia.com, or call (416) 479-4155 (Toronto office) or (514) 448-4016 (Montreal headquarters). Media Contact: Mark Lowe, PRagmatic Communications, for iGotcha Media.